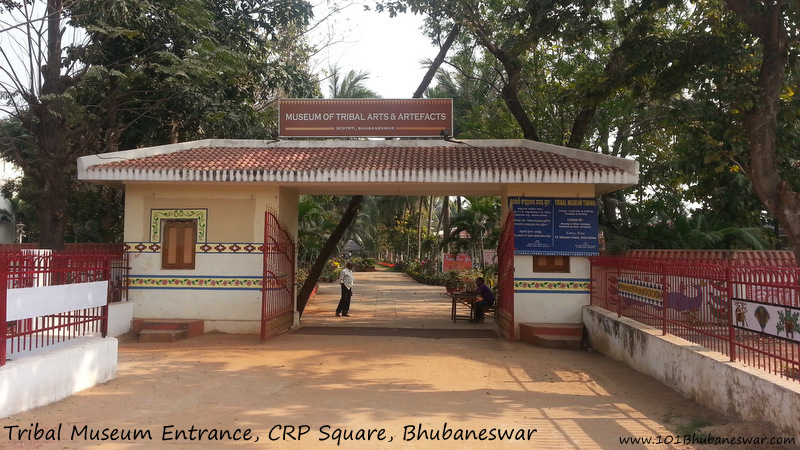 The Tribal Museum (Museum of Tribal Arts and Artifacts) of Bhubaneswar is home to a rich collection of artifacts, crafts and art objects belonging to different tribes (Adivasis) living in several parts of the state of Odisha. 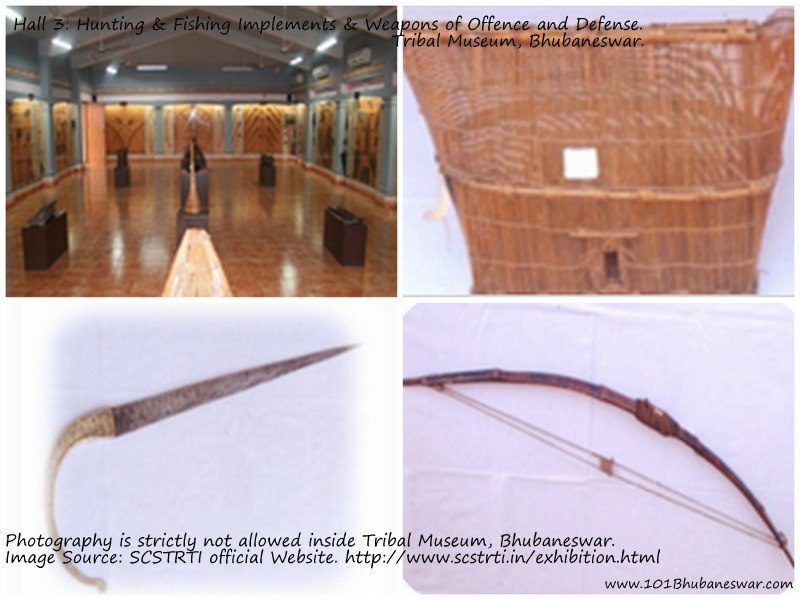 The museum exhibits dresses and ornaments, hunting and agricultural implements, weapons, personal belongings, photographs, arts of the tribes like Saora, Paroja, Koya, Kutia Kandha, Dongria Kandha, Bhottada, Santal, Kolha, Juang and others. 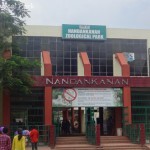 From CRP square towards fire-station square on NH 5, the first institution on your left is the SCSTRTI (Scheduled Cast and Scheduled Tribes Research and Training Institute). The Museum of Tribal Arts and Artifacts is located inside it. 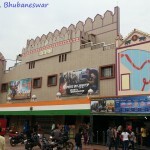 Established in March 2001 by ST & SC Development Department, Govt. 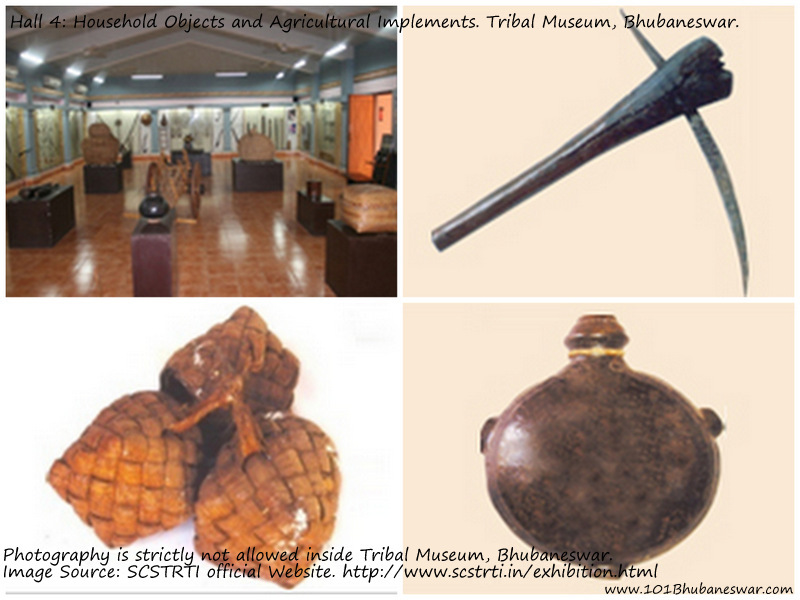 Of Odisha, Tribal Museum has gained lot of popularity among tourists, both locals and foreigners, and people interested in anthropological research in a very short span of time. 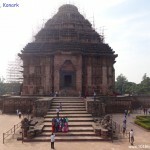 Interestingly, this place is ranked as the 4th best place to visit in Bhubaneswar on popular travel review website TripAdvisor. 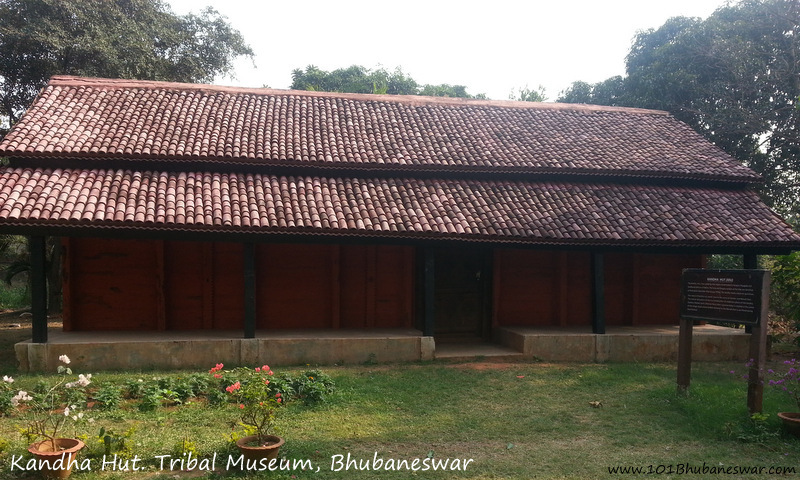 The main building of tribal museum has 5 galleries as per category of item it exhibits. Each gallery has a collection of hundreds of items of the given category belonging to different tribes. Each gallery has a digitized content library with audio-visual touch screen facility which show detail information about the items in the display. There are also guides allotted to each gallery to inform you more about the tribes and their living. 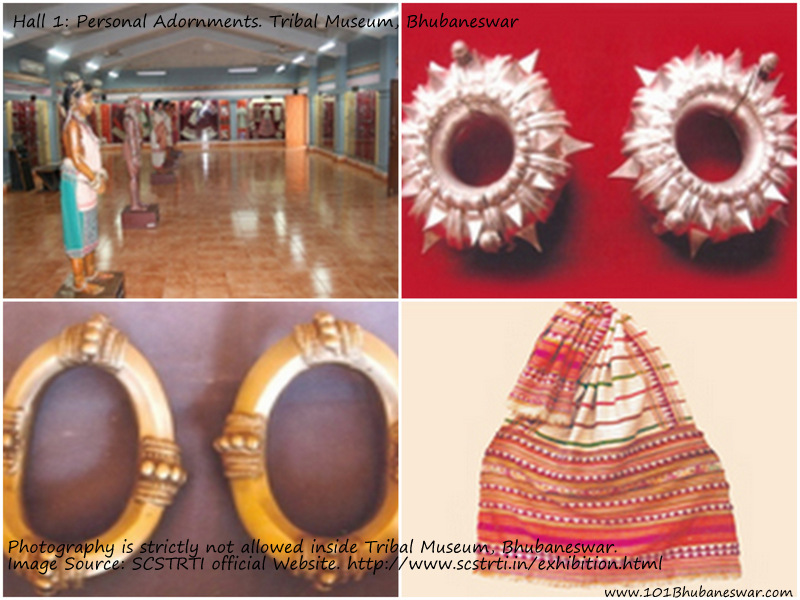 Hall 1: Personal Adornments gallery of the museum showcases clothing textiles, and ornaments like bangles, anklets etc used by different tribal people of Odisha. Hall 1: Personal Adornments. Tribal Museum, Bhubaneswar. Image Source – SCSTRTI Official Website. 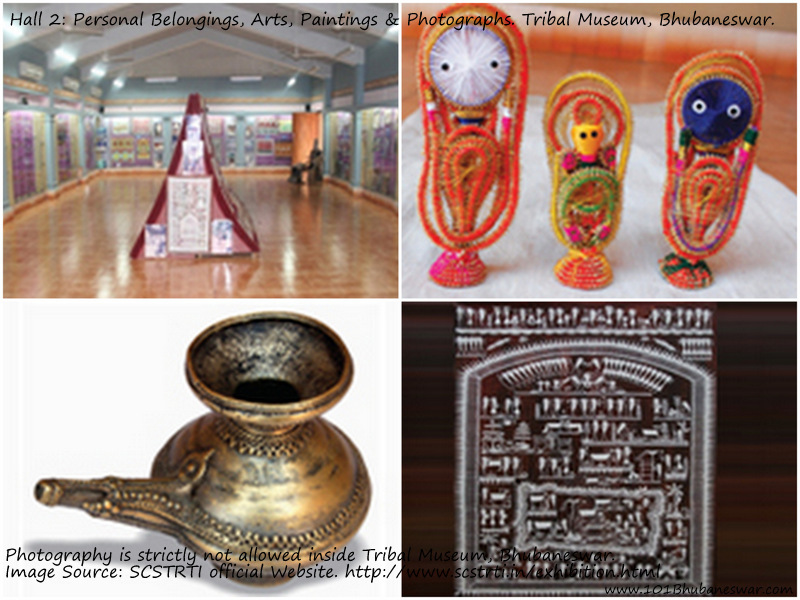 Hall 2: Personal Belongings, Arts, Paintings & Photographs gallery is home to items of personal use like traditional combs, paddy crafts, leaf umbrellas, ritual smoking pipes, wine pipes and tobacco container etc apart from tribal wall paintings and photographs. Hall 2: Personal Belongings, Arts, Paintings & Photographs. 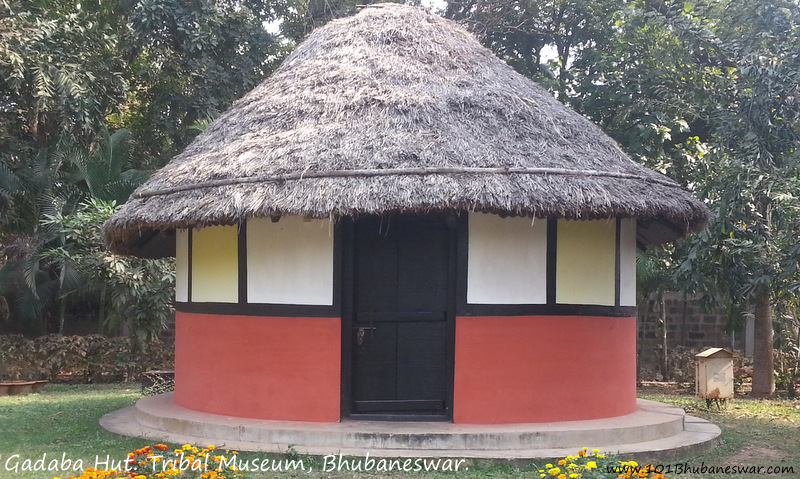 Tribal Museum, Bhubaneswar. Image Source – SCSTRTI Official Website. Hall 3: Hunting & Fishing Implements & Weapons of Offence and Defense gallery display hunting implements including bow and arrow, catapult, spear, axes, fishing implements including fishing traps, nets and fish carrying baskets and hundreds of more offence and defense weapons like sword, gun, knife, etc. Hall 3: Hunting & Fishing Implements & Weapons of Offence and Defense. 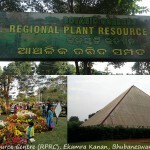 Tribal Museum, Bhubaneswar. Image Source – SCSTRTI Official Website. Hall 4: Household Objects and Agricultural Implements showcase different traditional household objects, like ‘Audaka’ of Oraon, ‘Tapa’ of Santal, ‘Dudua’ of Gadaba, ‘Bati’ of Paroja, ‘Gandara’ of Khadia, and ‘Jhampi’ of Kisan. Hall 5: Dance, Musical Instruments, and Dhokra Items exhibits traditional Dance and Musical instruments like ‘Katta’ of Koya, ‘Ghumura’ of Kutia Kandha, ‘Changu’ of Juang, ‘Dhak’ of Santal, ‘Tetedupe’ of Saora, ‘Basi’ of Kutia Kandha, ‘Ga-a-ni’ of Dongria Kandha, ‘Gagerai’ of Lanjia Saora and many more such stuff. 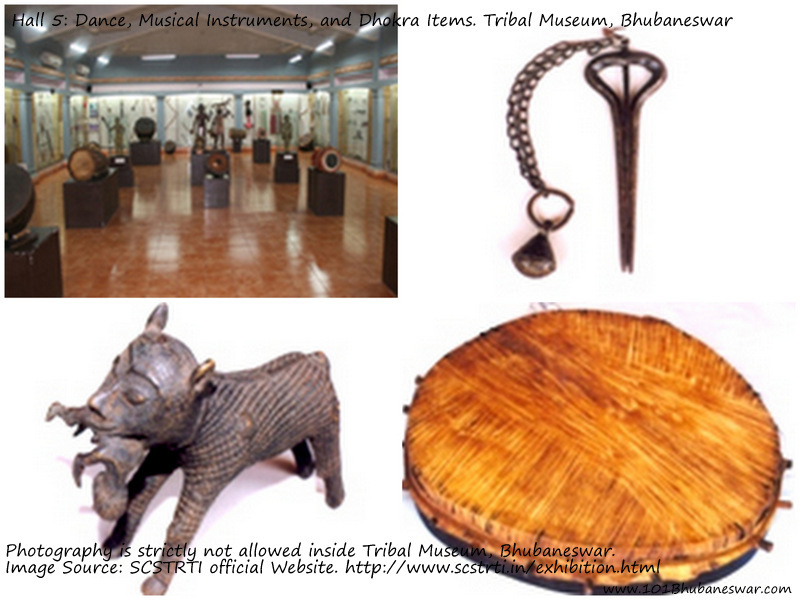 Hall 5: Dance, Musical Instruments, and Dhokra Items. 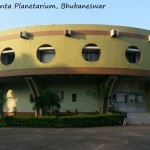 Tribal Museum, Bhubaneswar. Image Source – SCSTRTI Official Website. The museum courtyard has the replicas of the buildings, shrines and places of worship of different tribes. 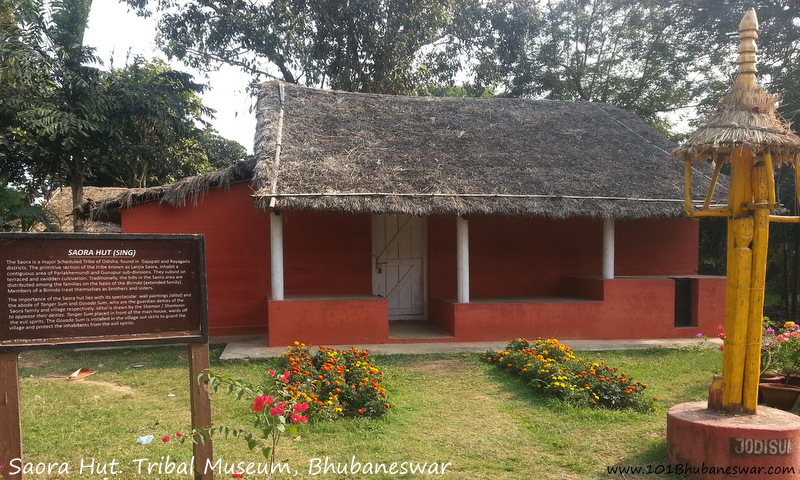 On the back side of the main museum, there is a series of houses and huts which replicate traditional house of different tribes like Gadaba, Kandha, Santal and Saora. A little far from the main block, a newly constructed “PTG World” is located. This is dedicated for showcasing cultural heritage of some Primitive Tribal Groups (PTGs) living in Odisha. PTG World. 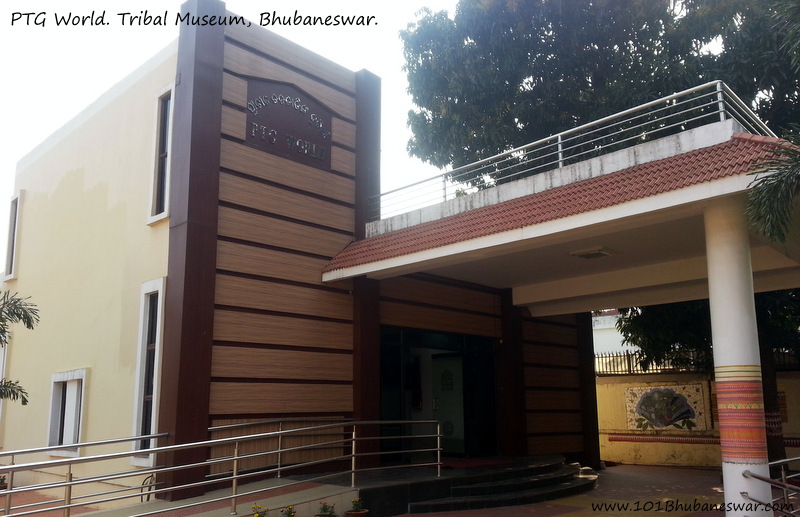 Tribal Museum, Bhubaneswar. Next to the PTG World gallery, towards the exit, there is a souvenir counter for purchasing souvenirs and a tribal food court for refreshment. Souvenir Shop and Tribal Food Court. 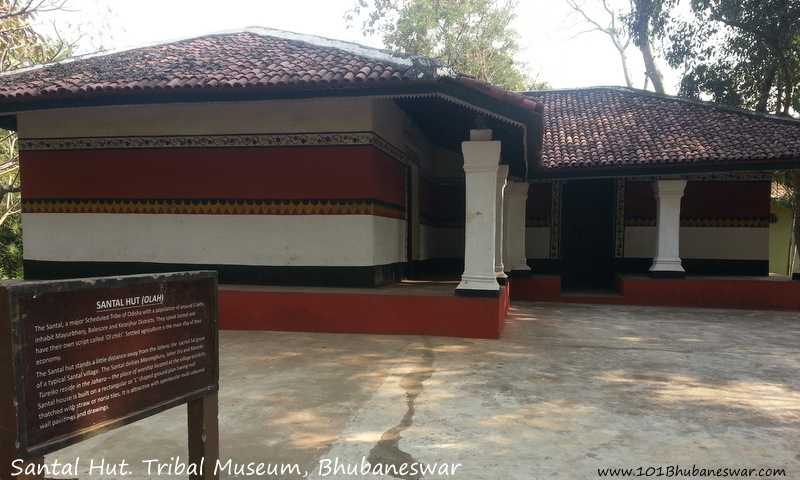 Tribal Museum, Bhubaneswar. 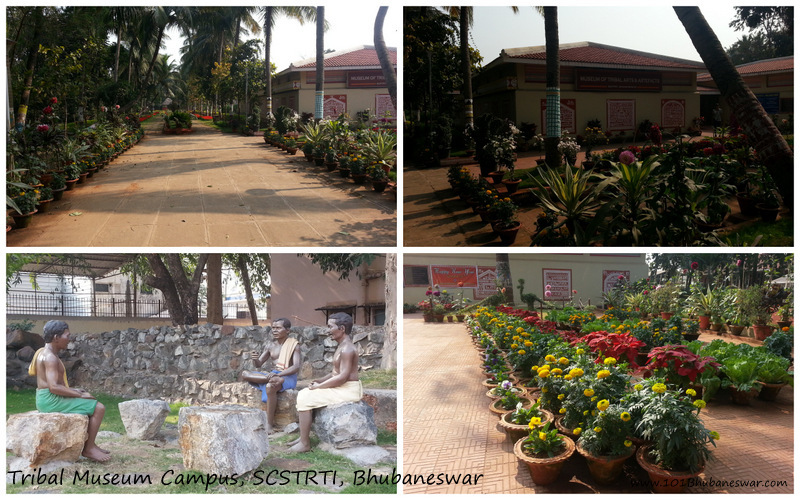 The flower garden inside the campus is well maintained. Several life-size tribal people statues placed inside the garden add to its beauty. 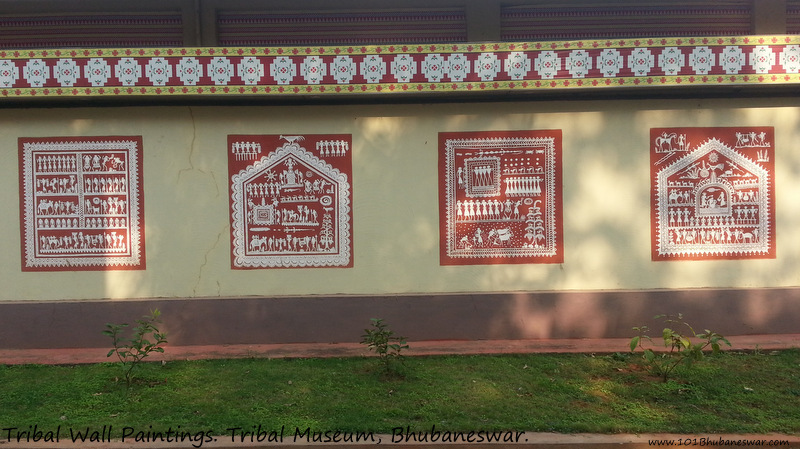 Traditional tribal wall paintings painted on almost all exterior walls of the museum. All these are beautifully arranged and easily makes you spend few extra minutes in the campus. The tribal museum is open from 10 AM to 5 PM on all days except Monday and Govt. Holidays. Entry to the museum is free. Photography is strictly not allowed inside the main museum building and this is going to disappoint you a little. You can take photographs of structures outside the museum building freely. This objective served by the Tribal Museum is not only to preserve the tribal history and culture but also to make city people to be aware of them. 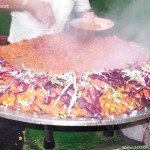 If you have not visited this excellent place in the city yet, it’s time for you to plan and pay a visit.